The Artist D Shellhammer is back with his (or her) finest work yet! 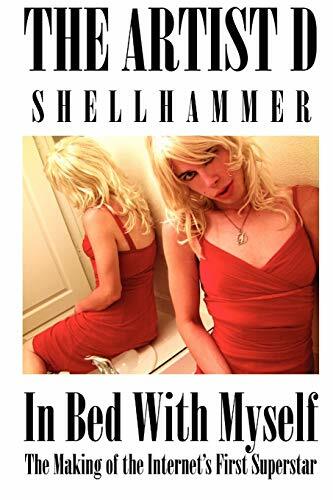 "In Bed With Myself" is a tell-all autobiographical self-help adventure. Throughout the story of becoming known as The Internet's First Super Star, D explains his life and the obstacles gone through to get to the top of the underground Internet fame game. With D's quick wit and hilarious story telling ability, "In Bed With Myself" will answer all your questions. How do you not become a flash in the pan? How do you create an Internet celebrity? How does it become your main income? The Artist D tells all from birth to rebirth in this exciting adventurous tale. Take charge of yourself to create who you really are. The Artist D did it and now you must learn from example!